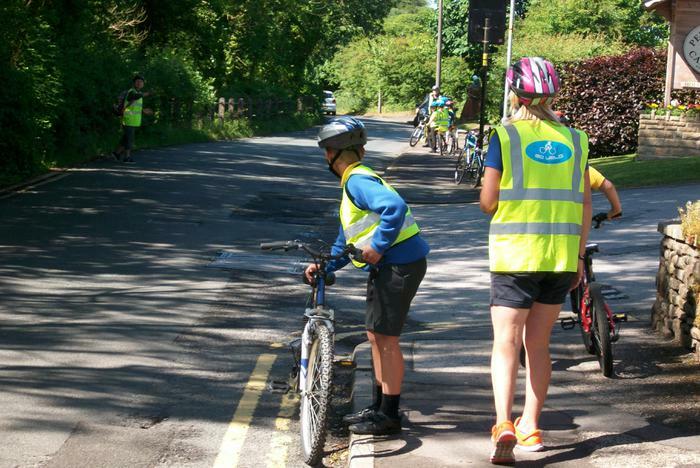 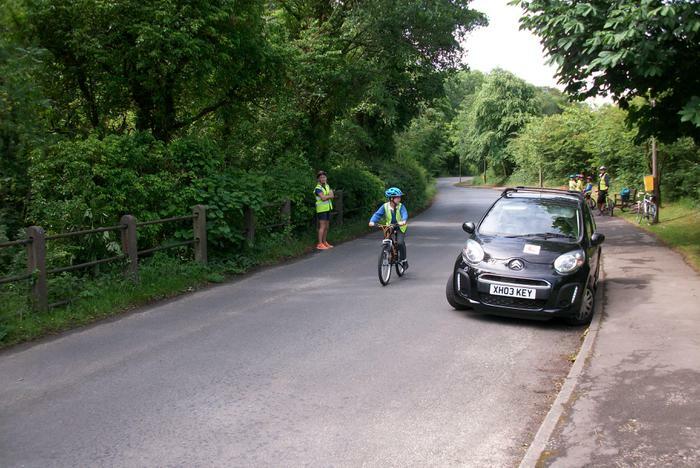 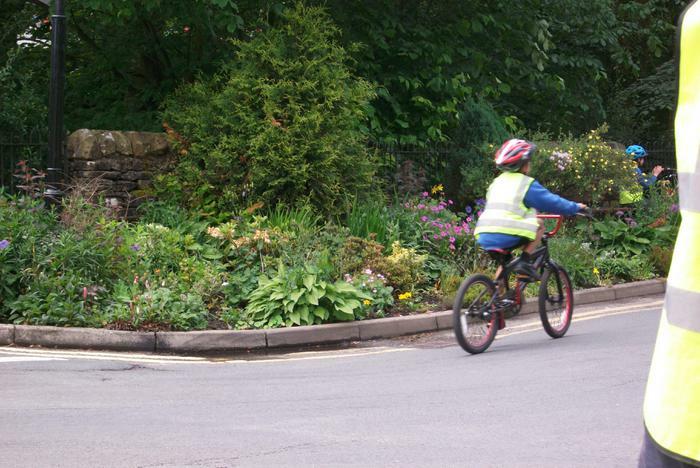 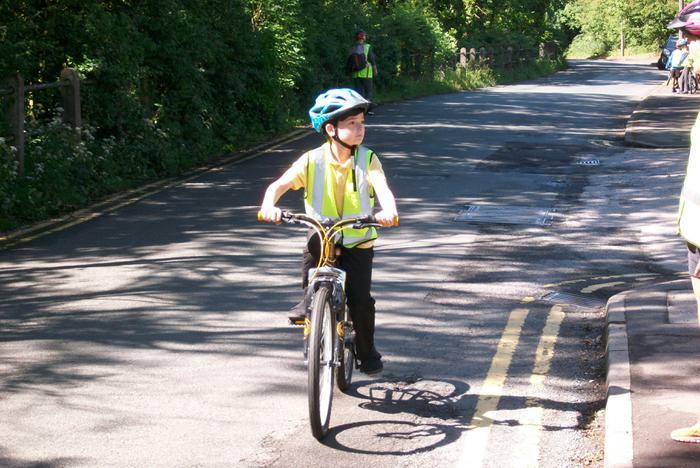 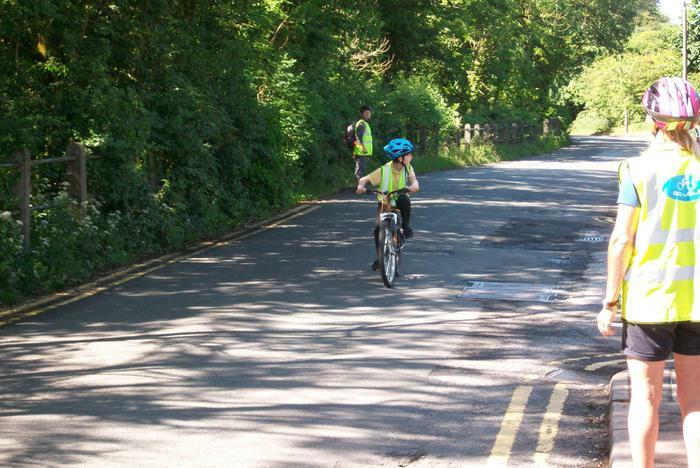 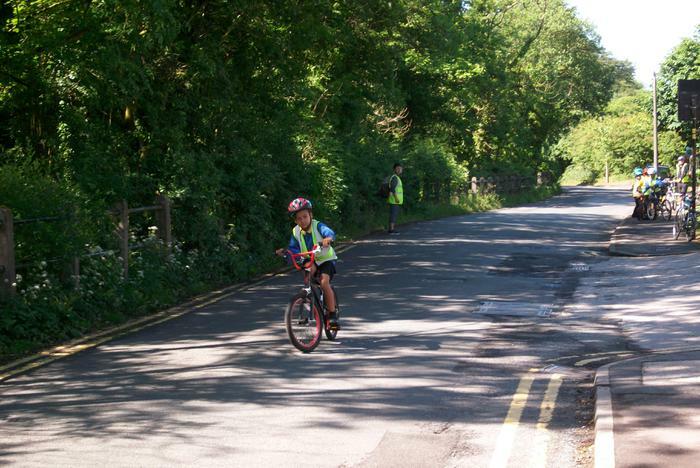 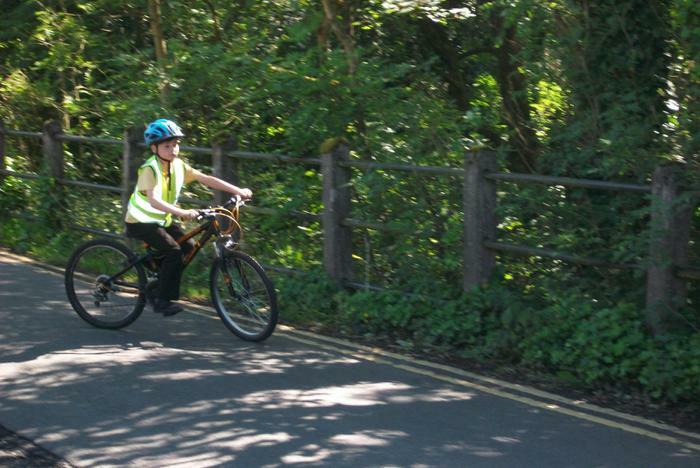 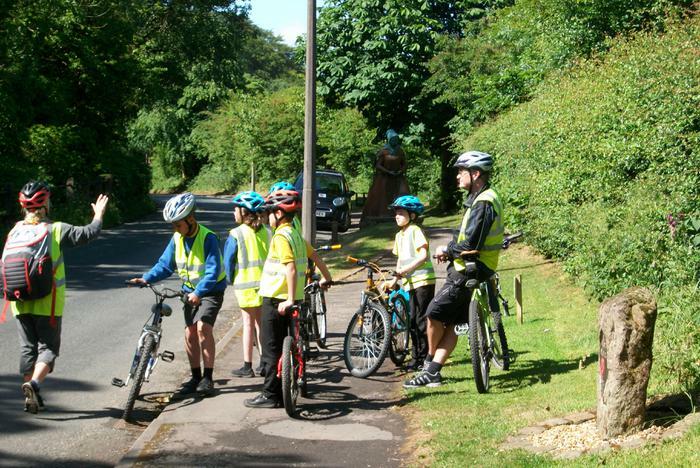 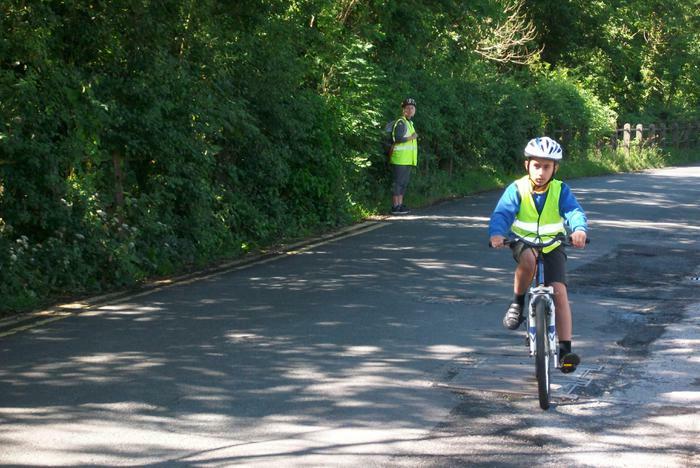 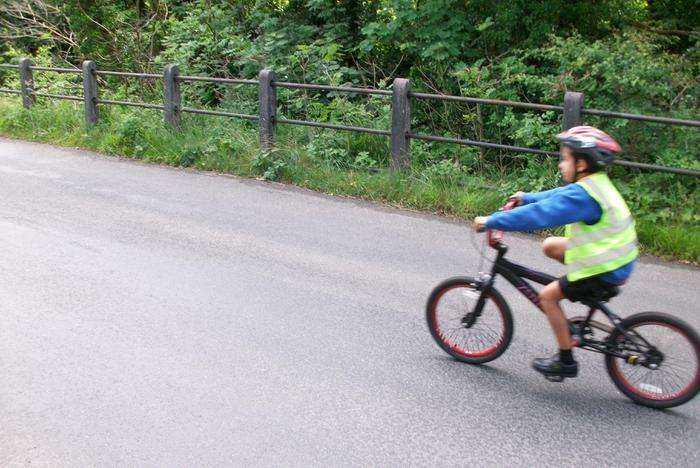 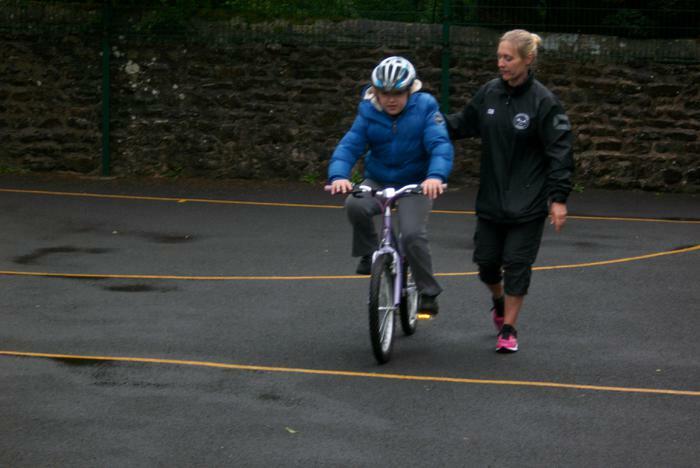 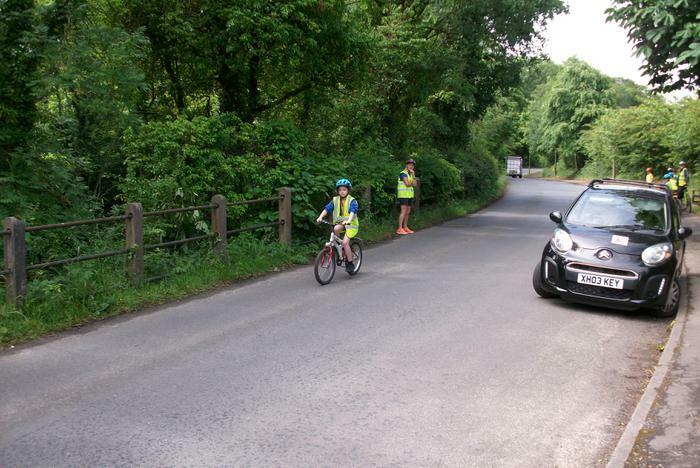 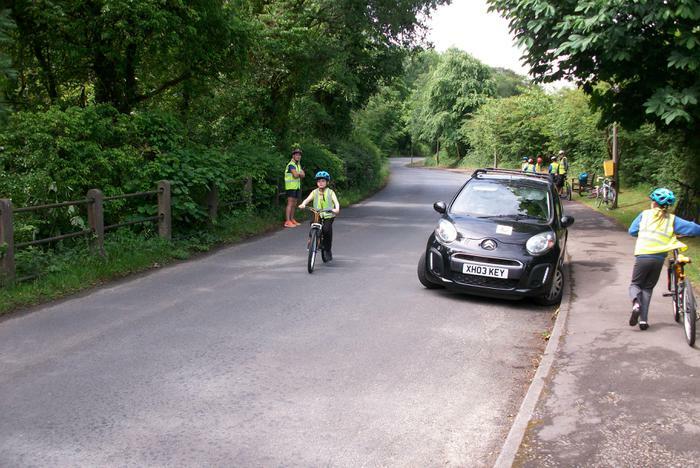 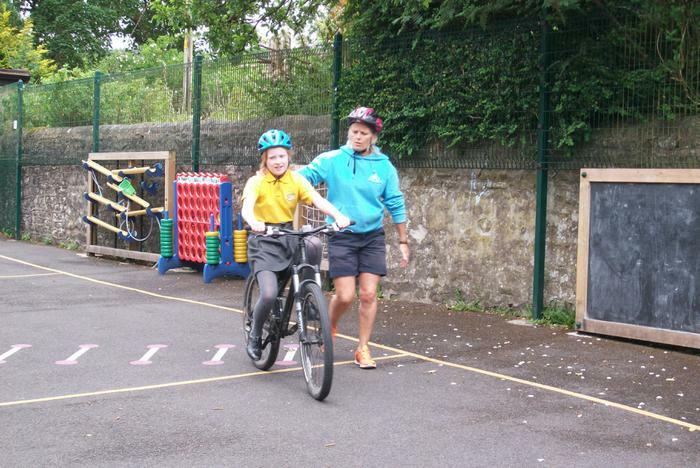 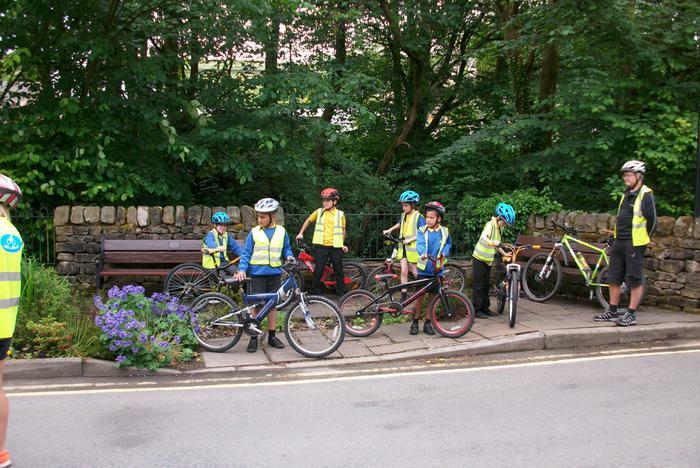 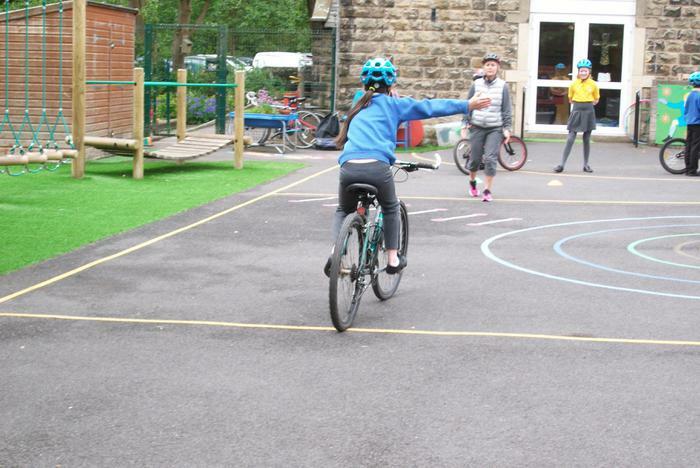 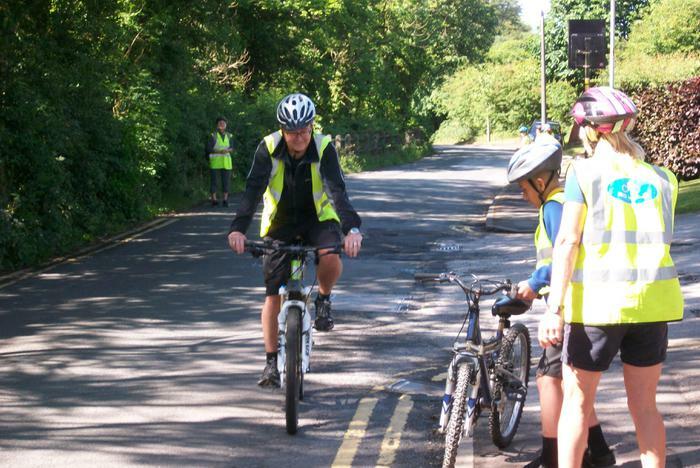 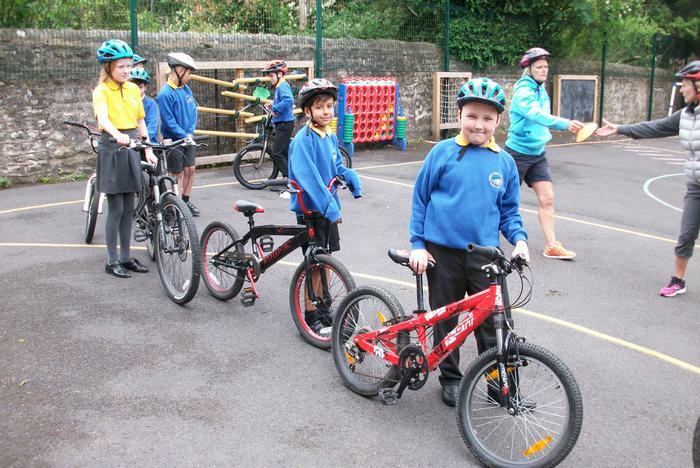 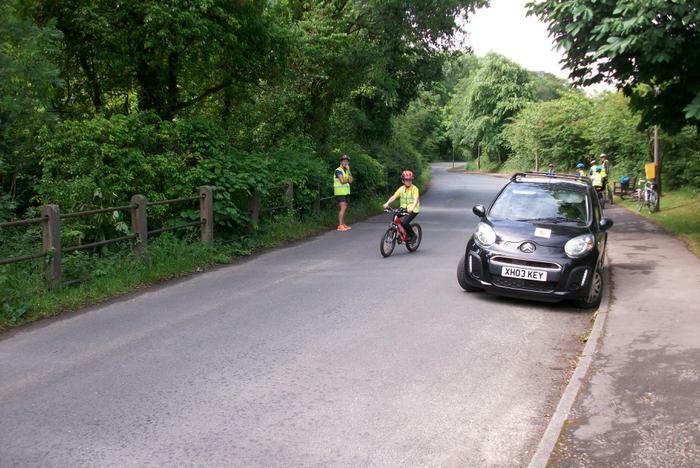 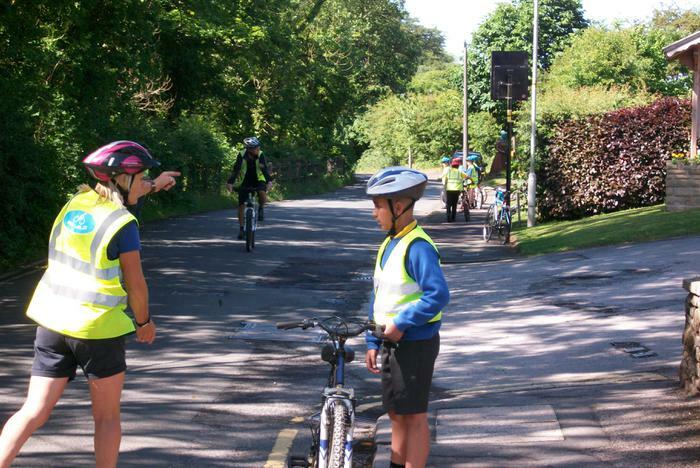 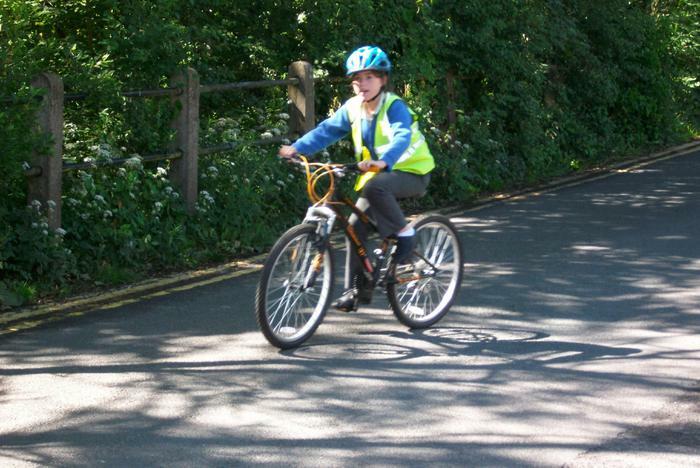 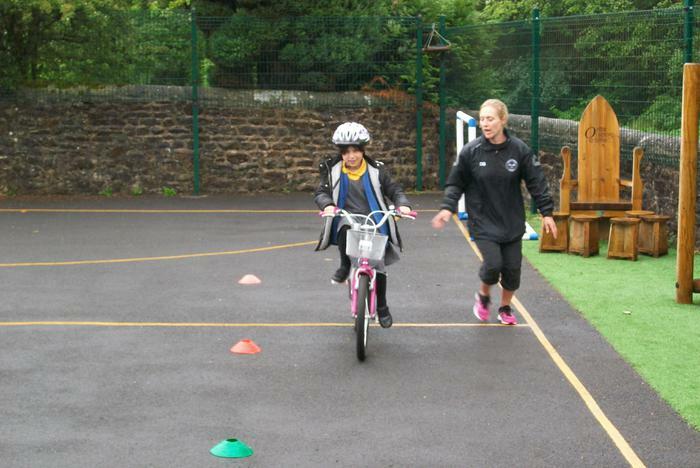 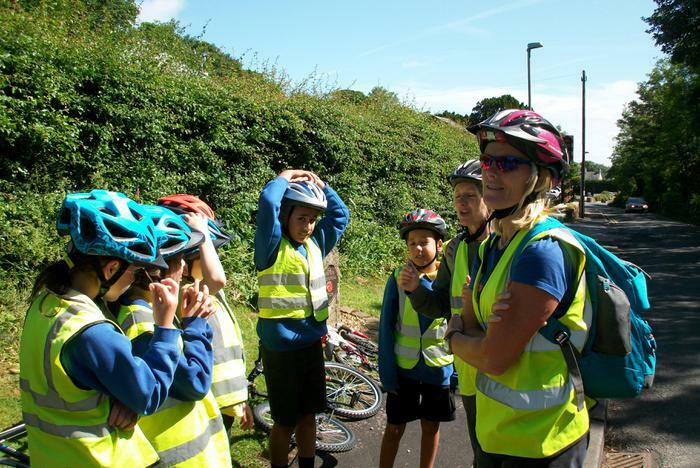 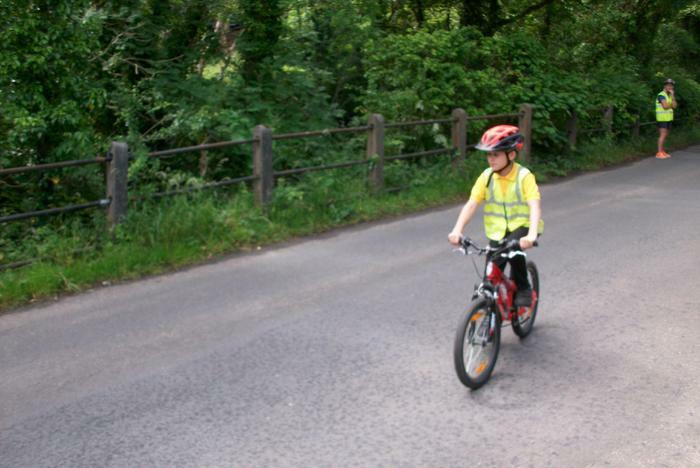 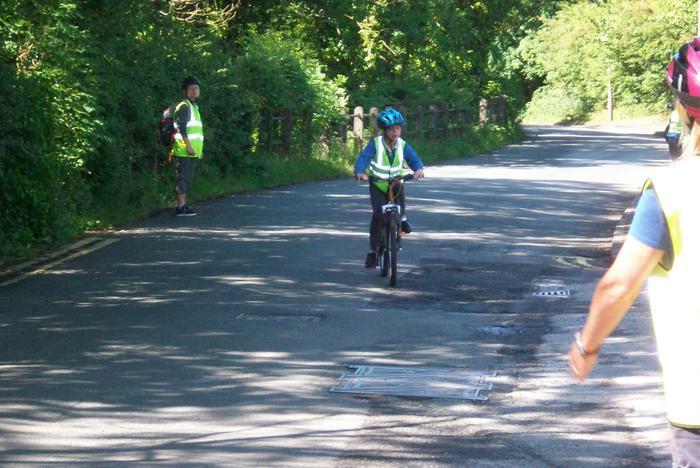 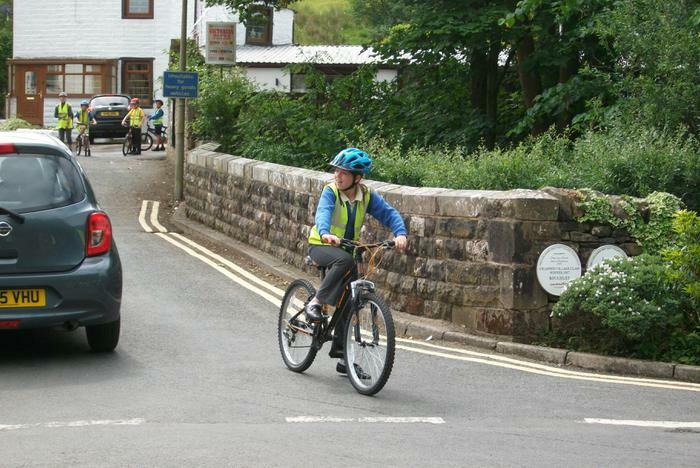 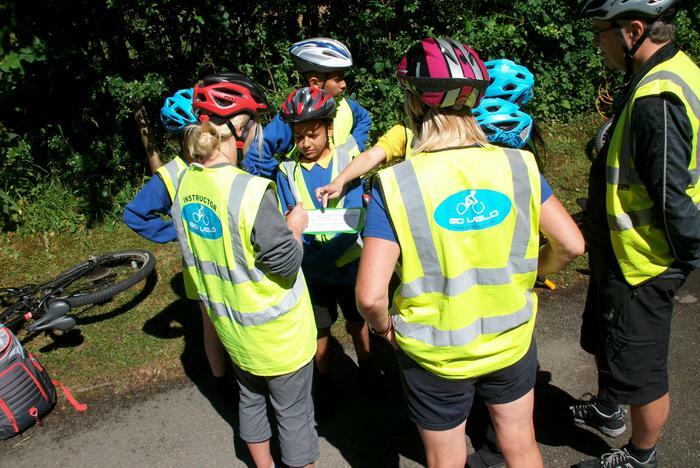 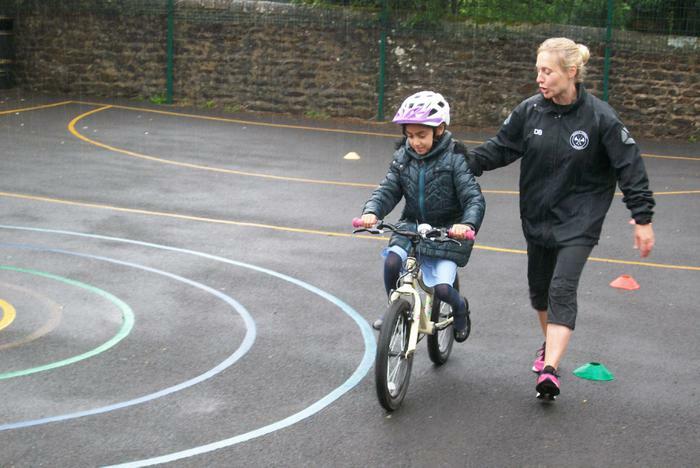 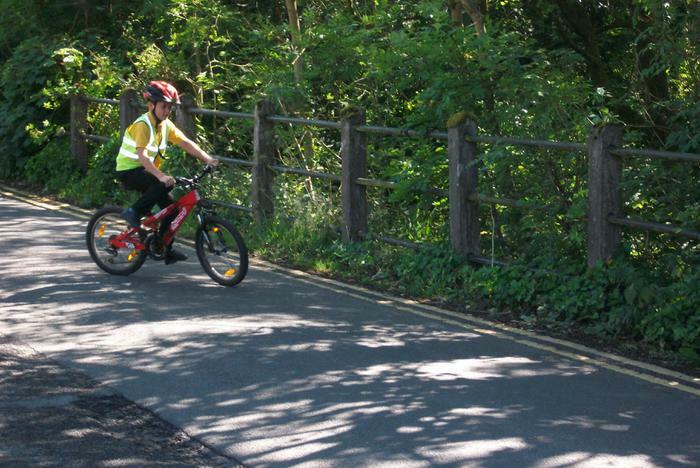 Debbie and Fiona from GoVelo have taught all our Junior children Level 1 of the ‘Bikeability’ programme, with many of them also achieving Level 2. 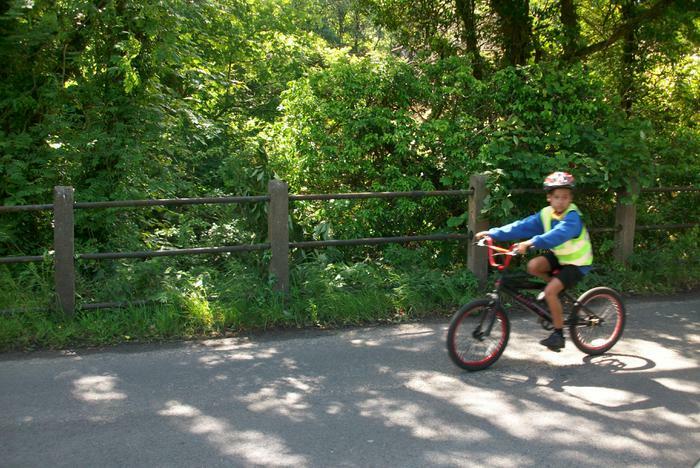 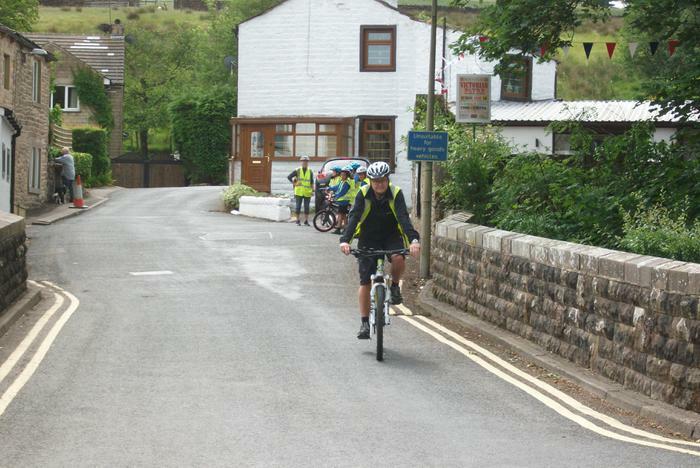 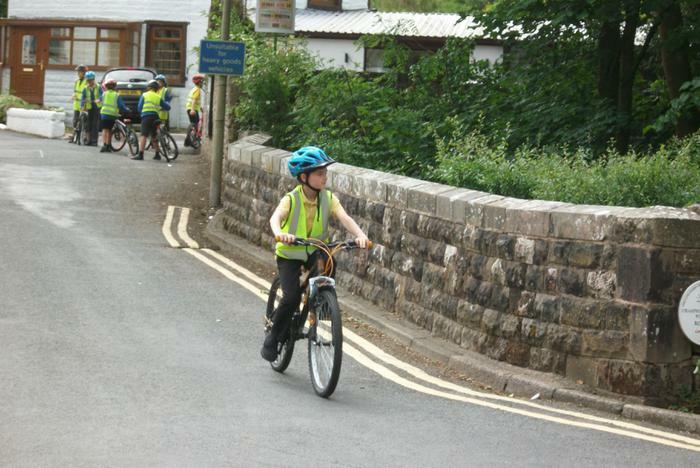 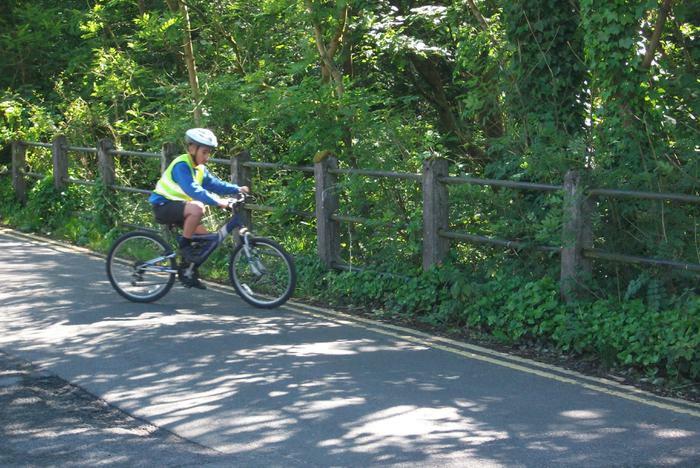 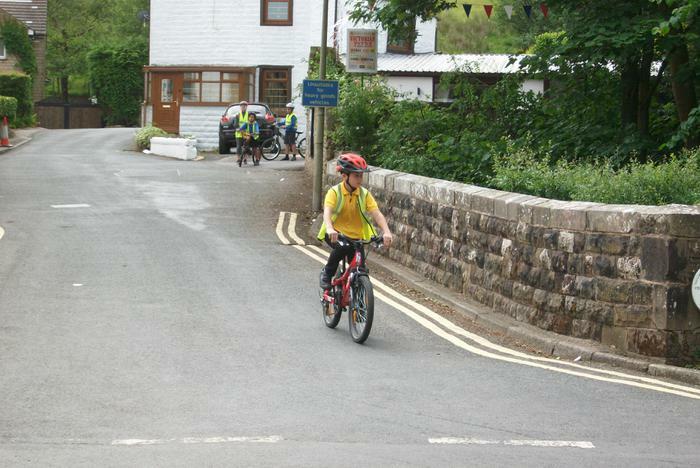 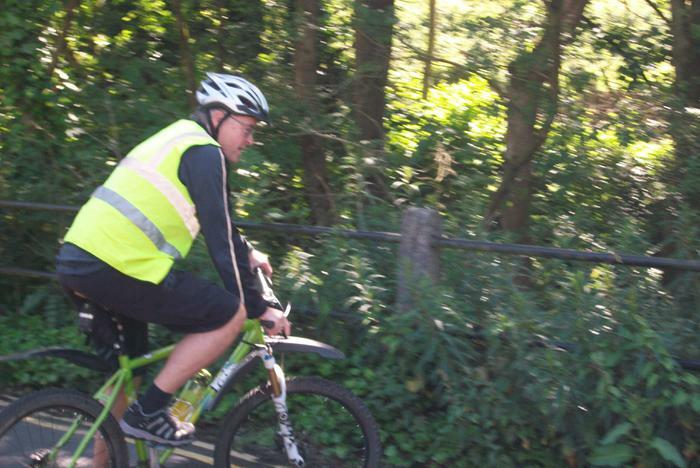 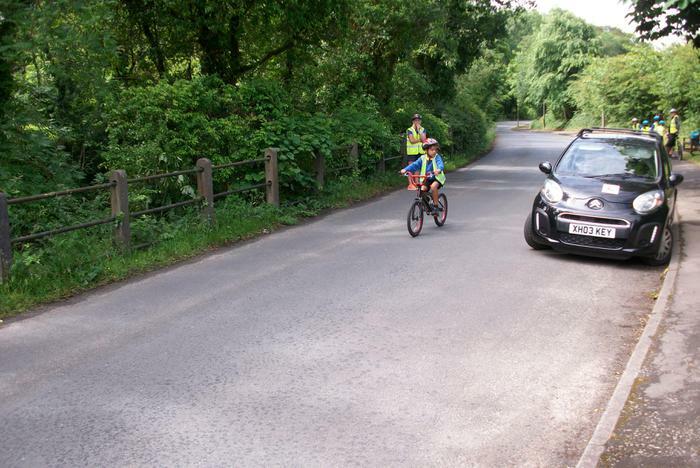 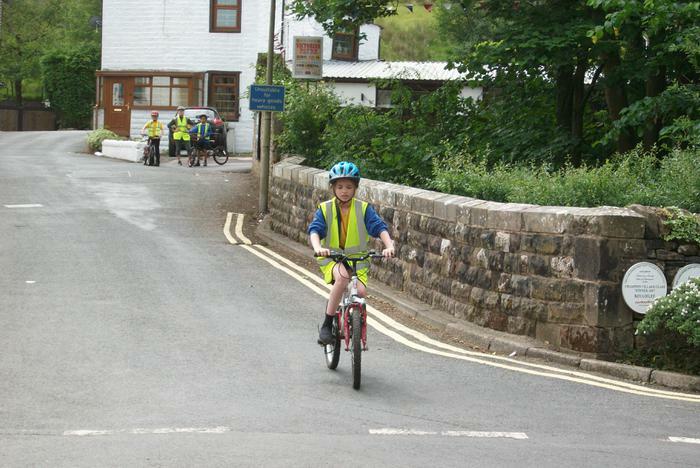 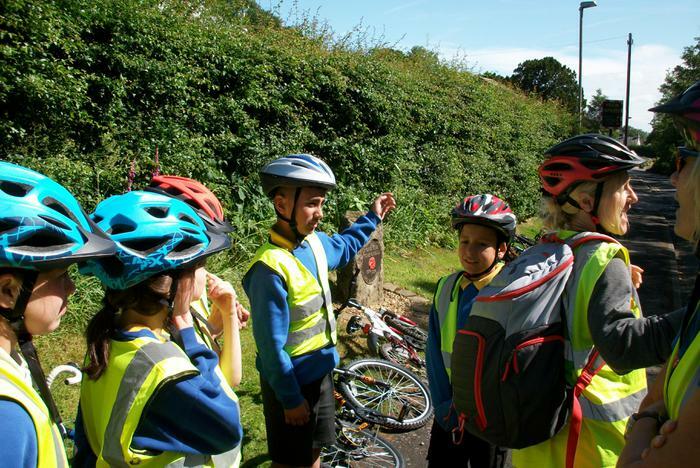 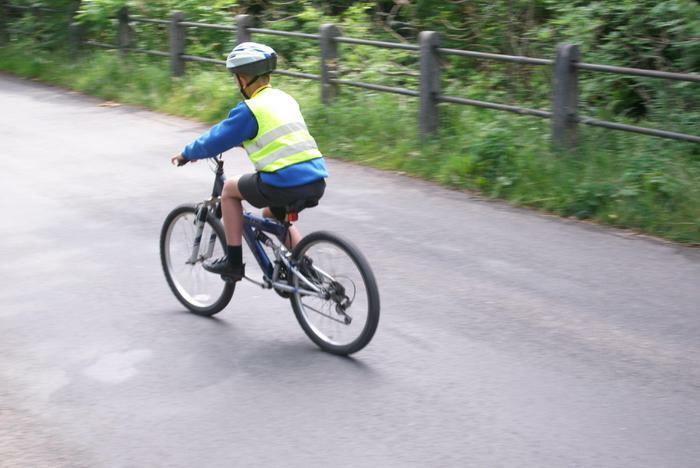 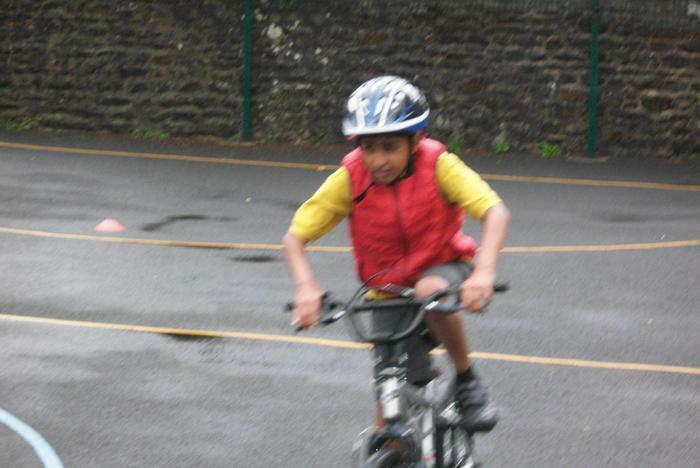 School is extremely proud of all the children who participated, especially those who have learnt to ride a bike this week – well done! 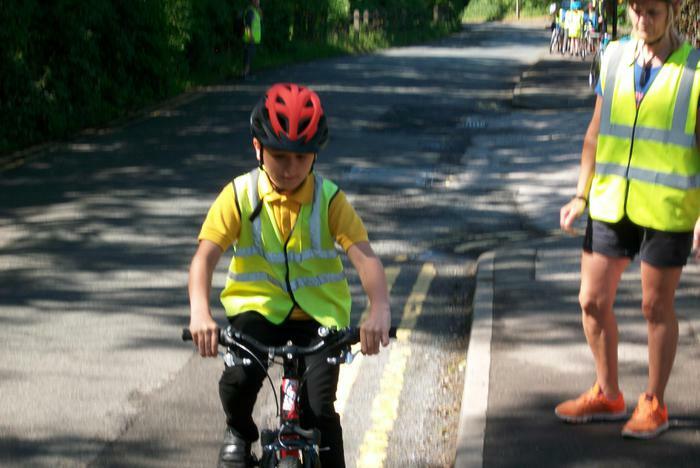 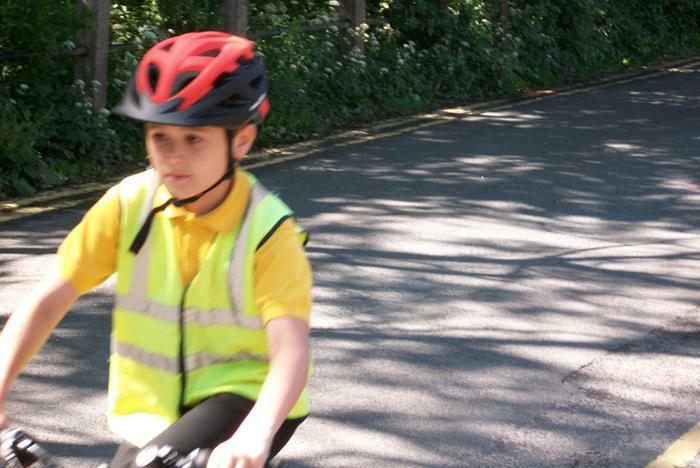 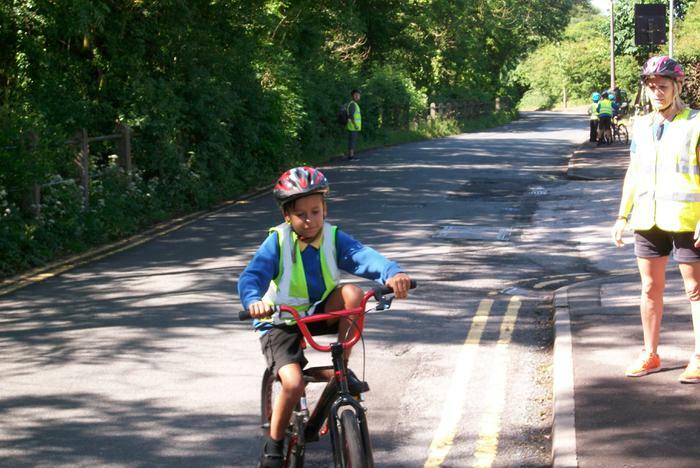 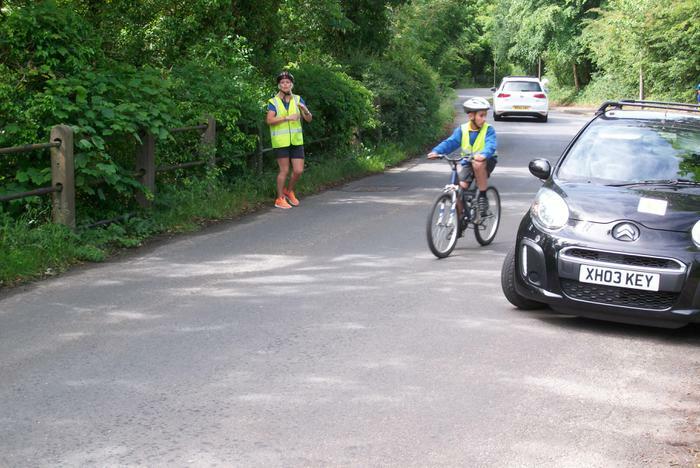 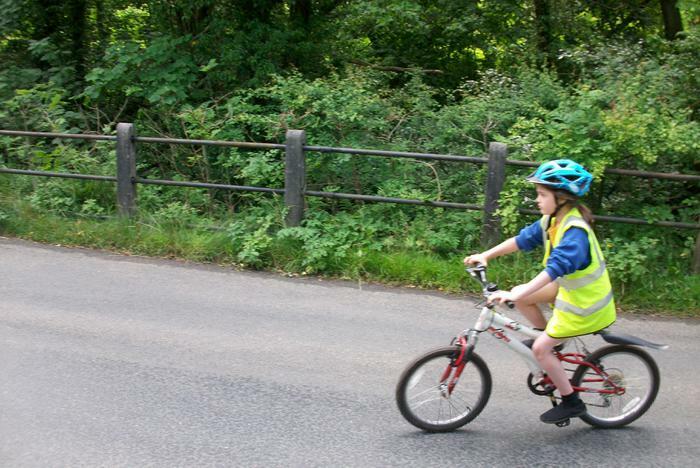 The children have learnt about road safety and developed their balance, co-ordination, confidence and self-awareness through practical tuition. 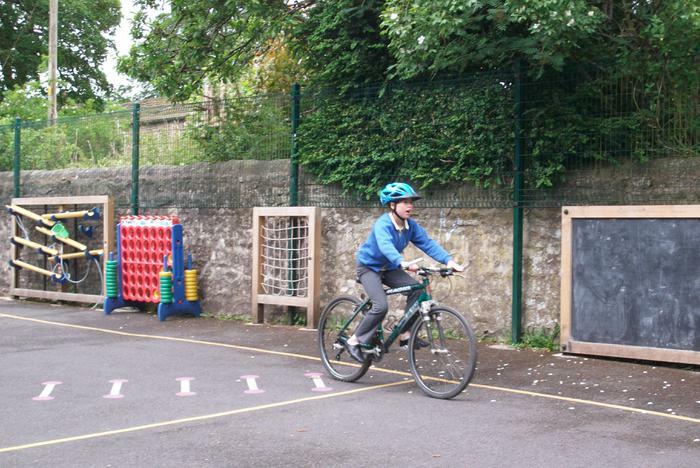 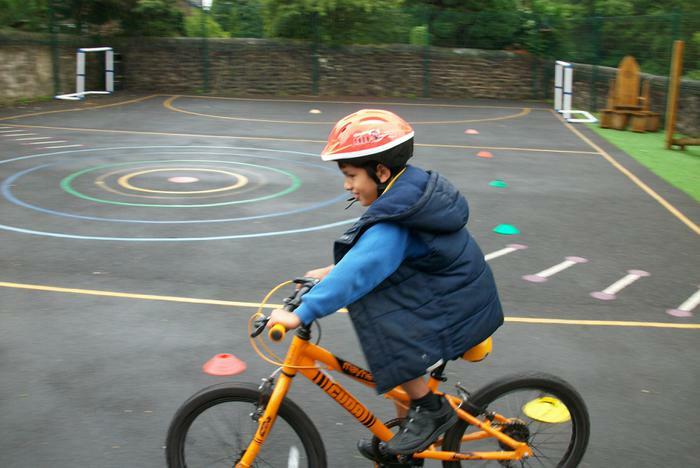 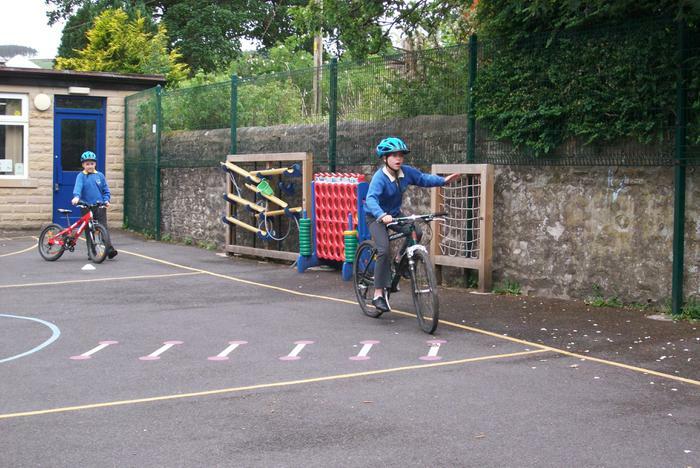 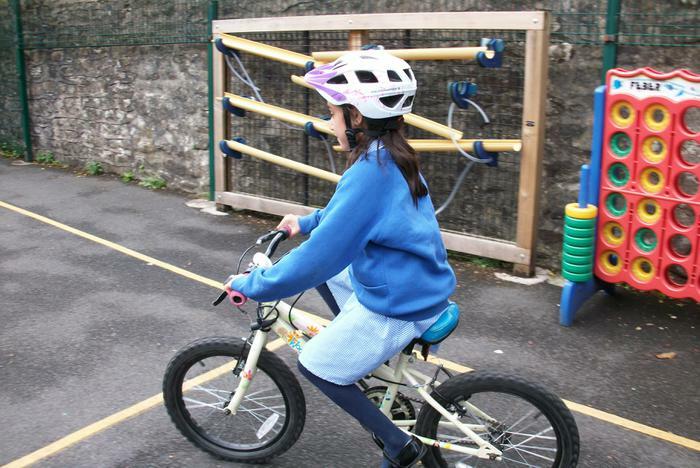 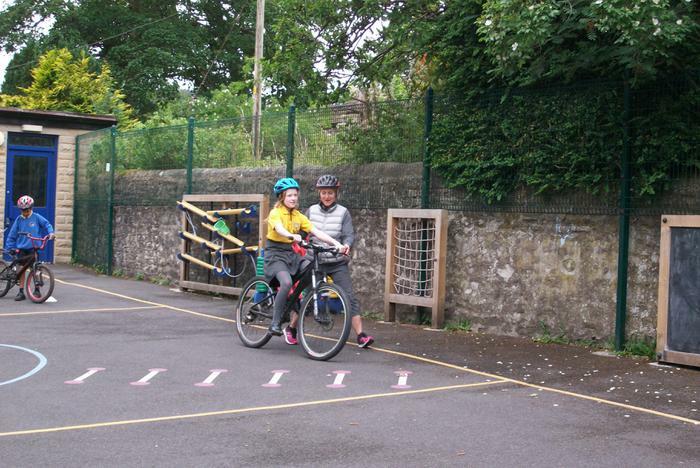 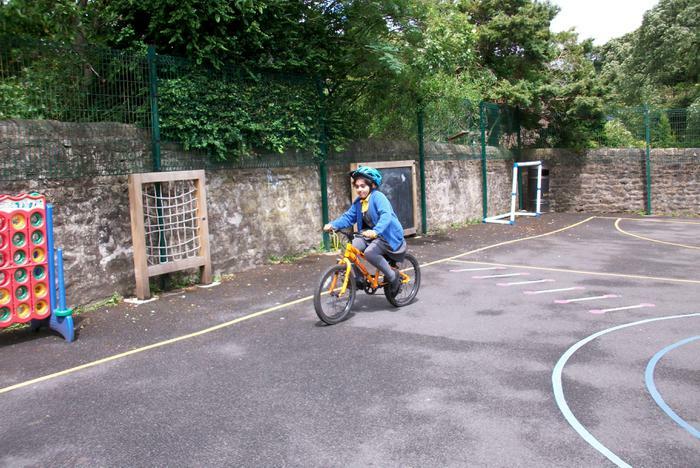 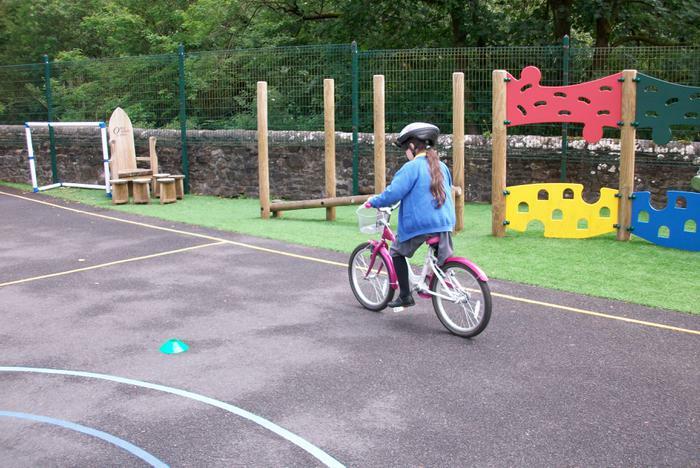 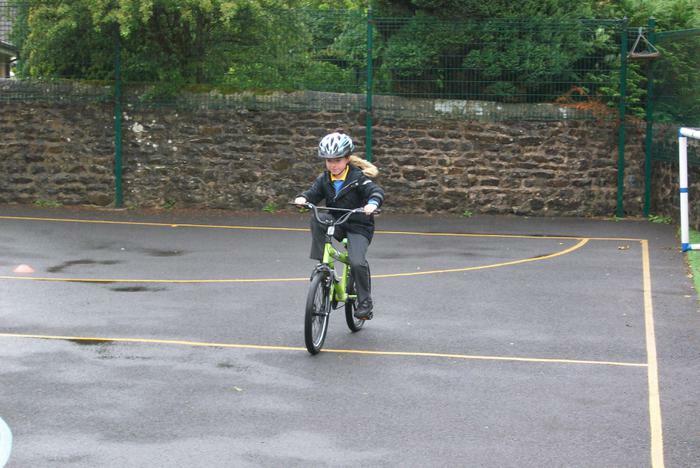 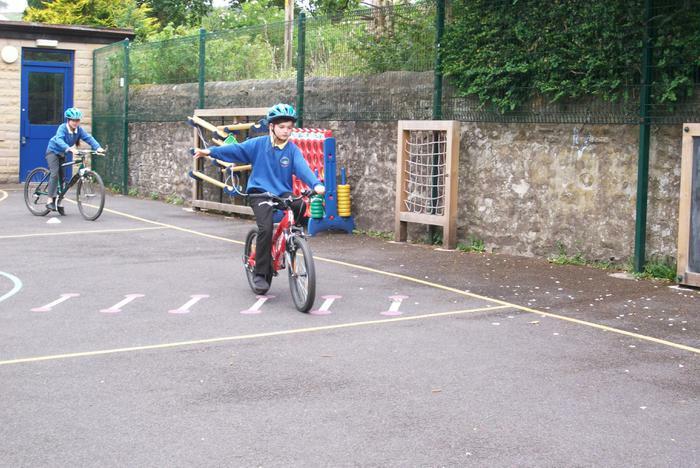 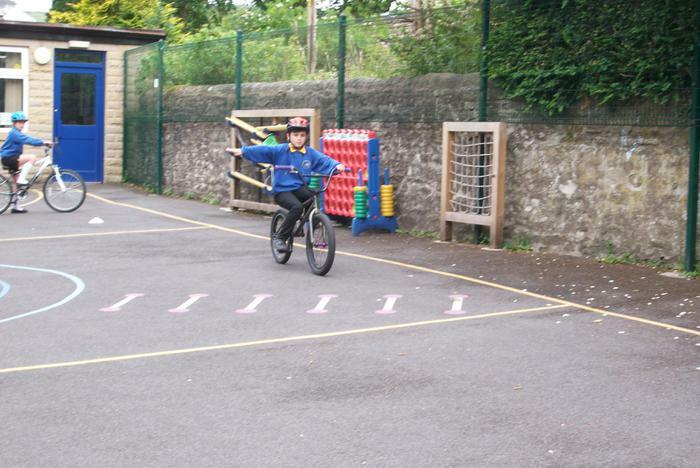 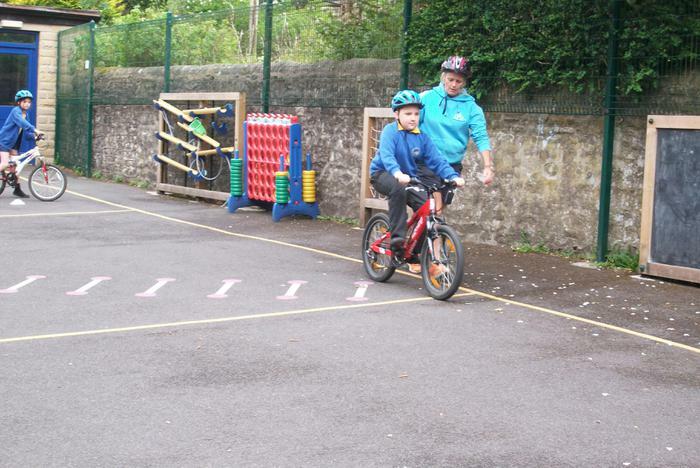 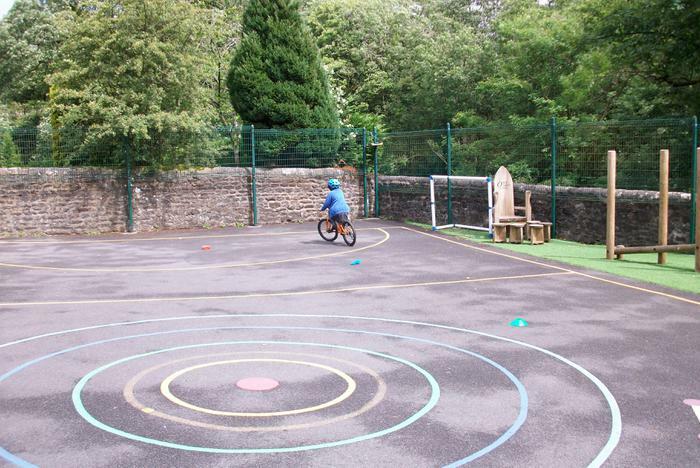 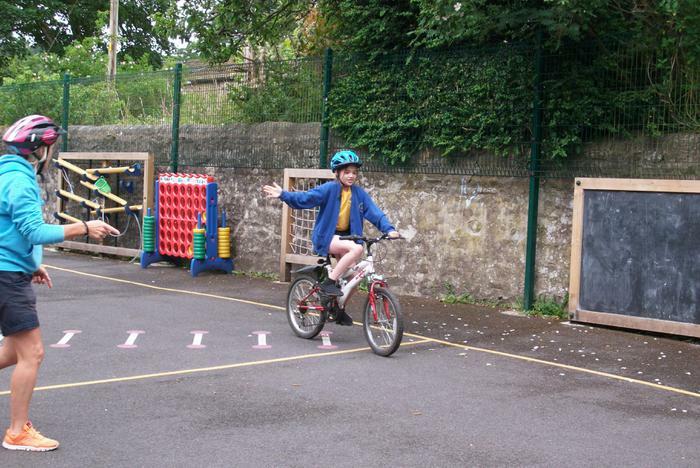 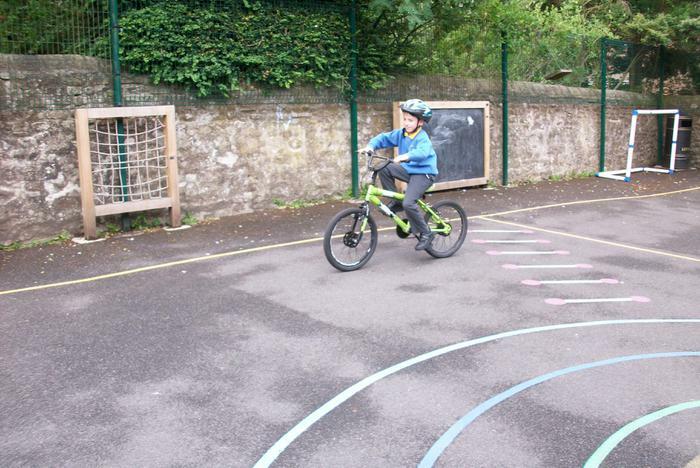 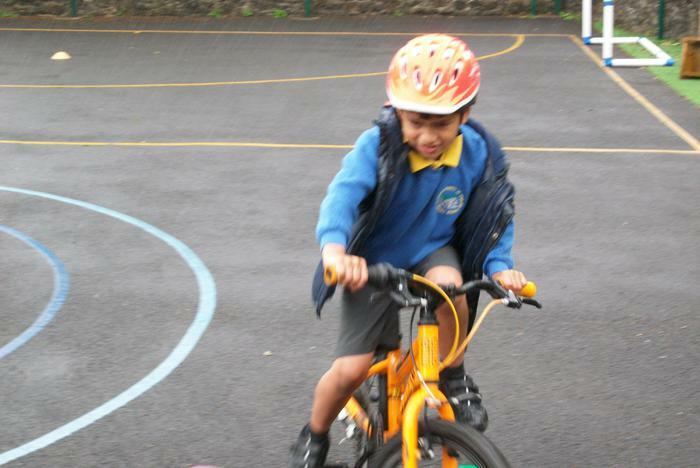 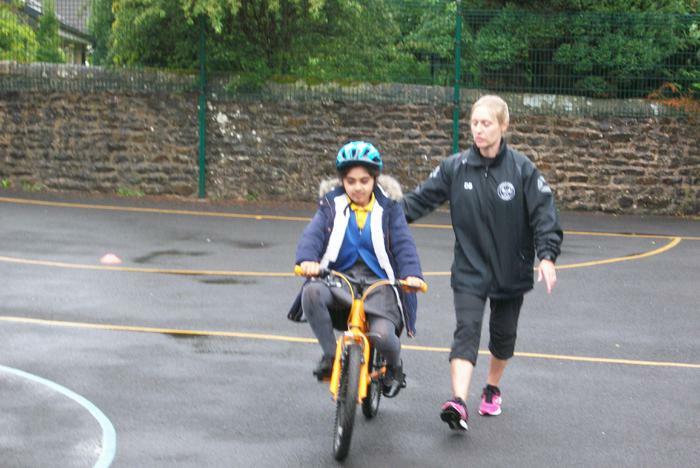 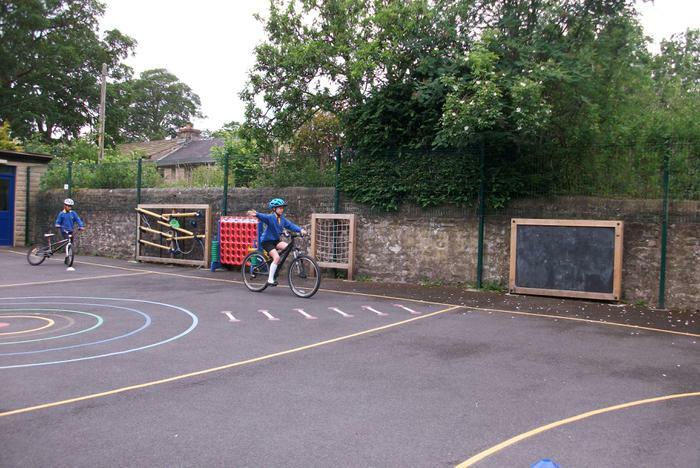 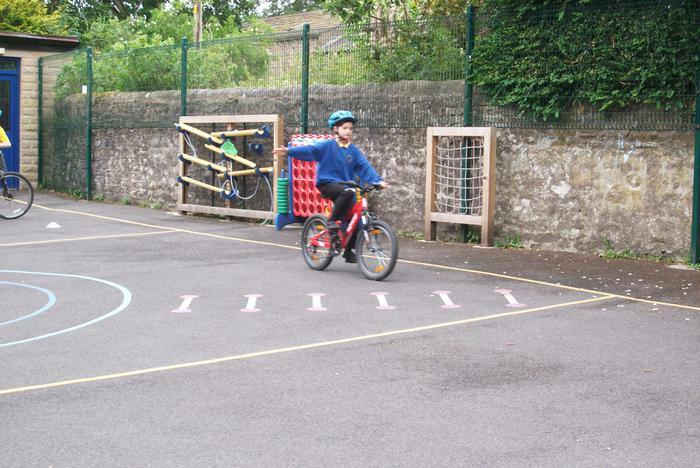 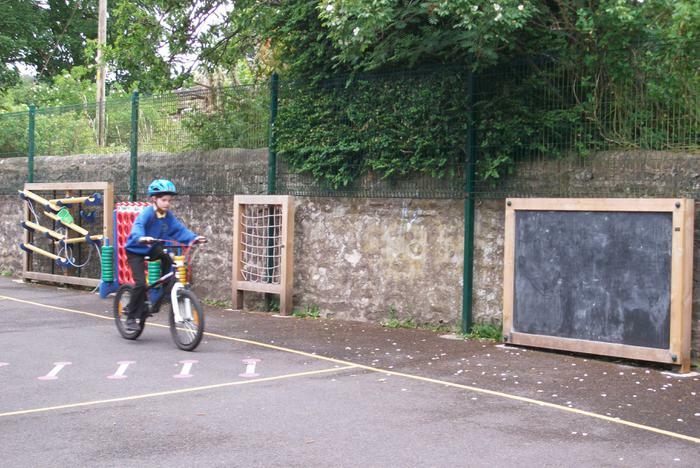 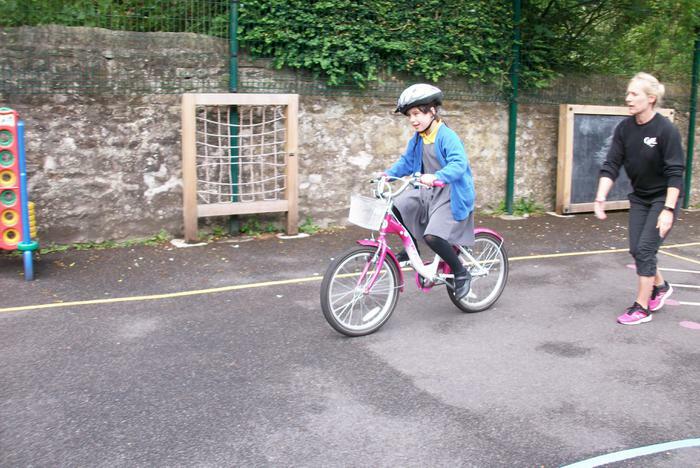 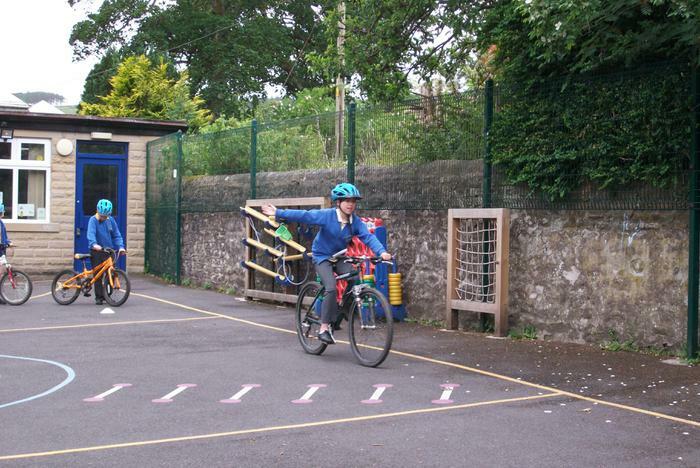 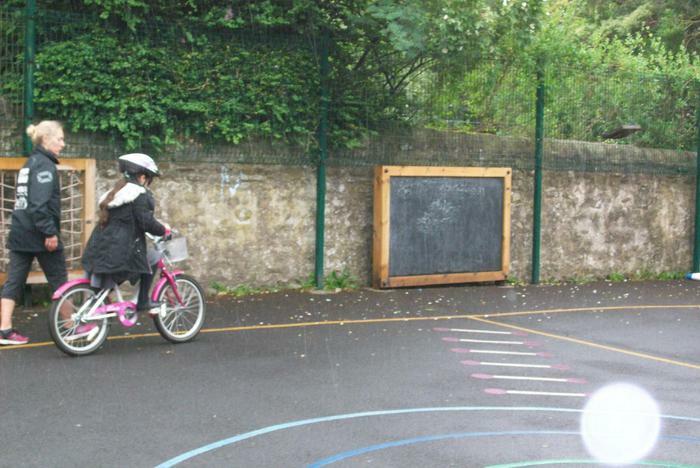 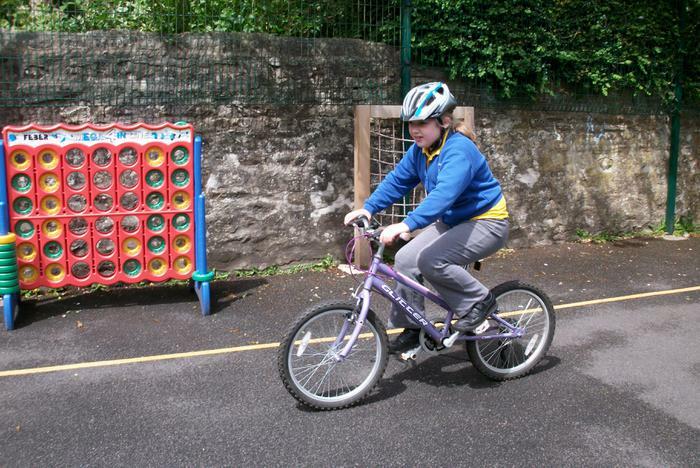 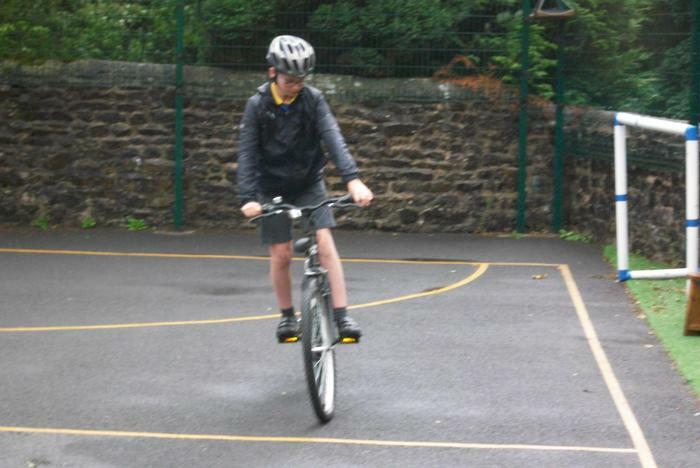 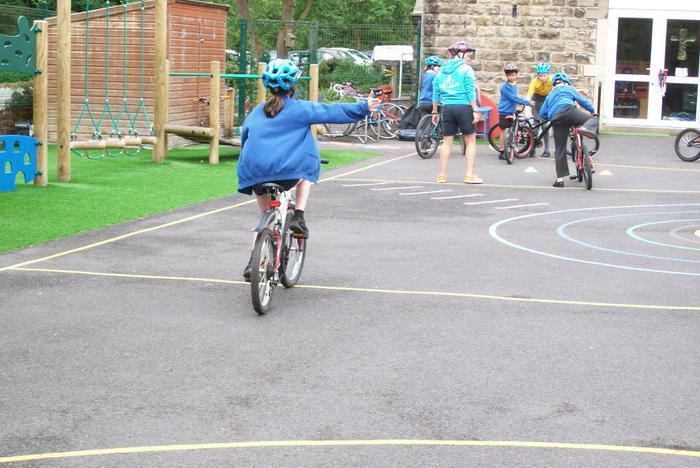 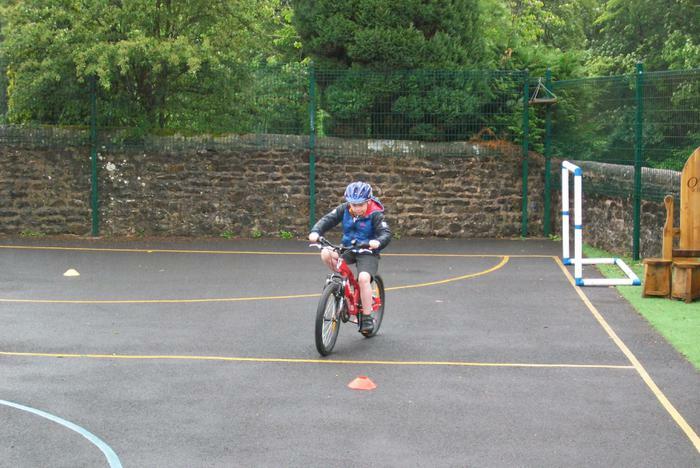 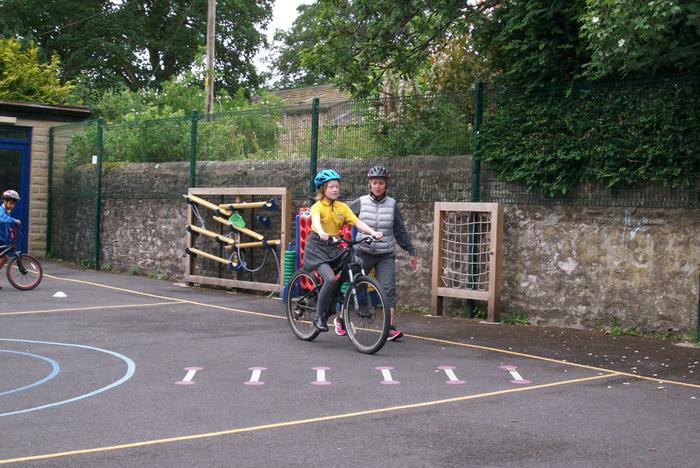 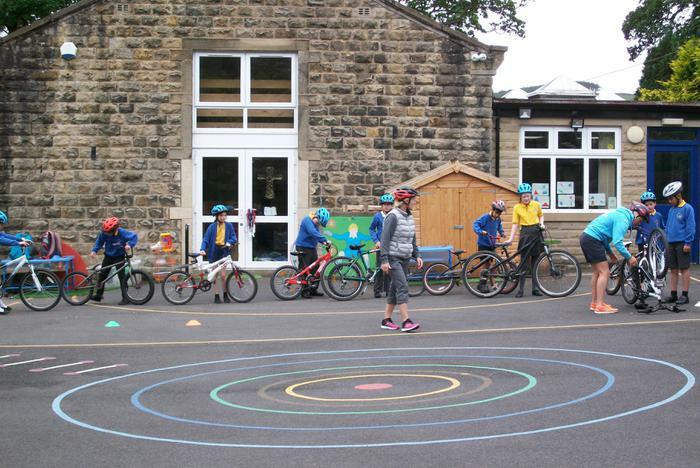 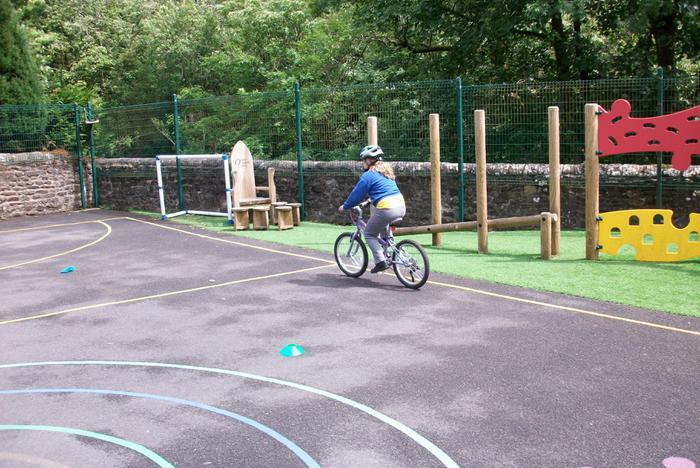 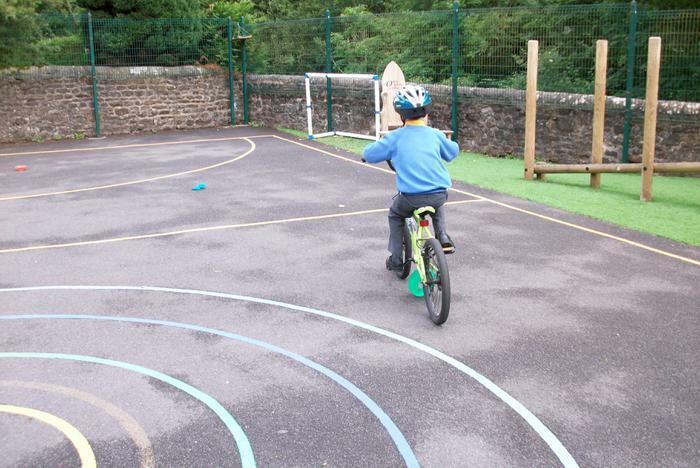 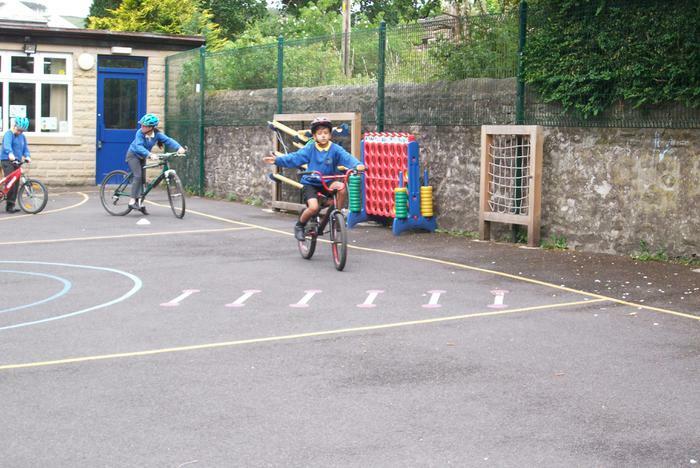 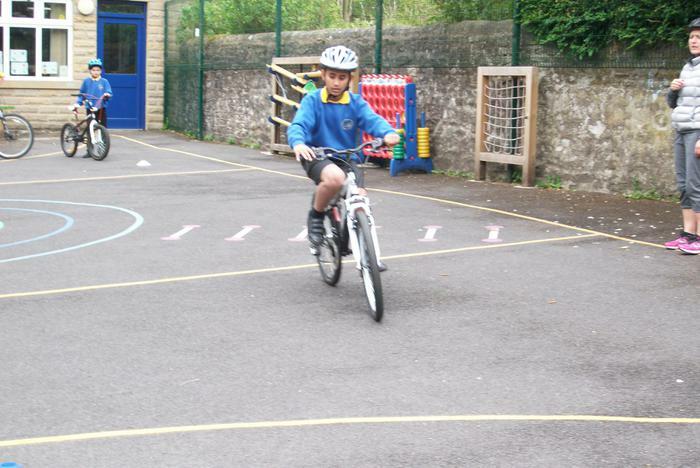 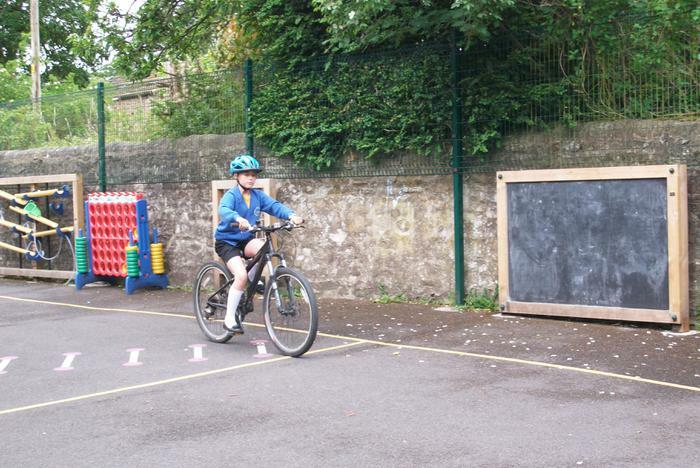 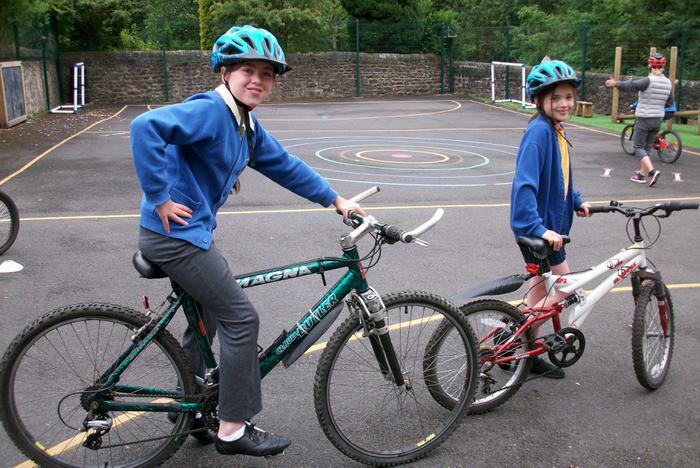 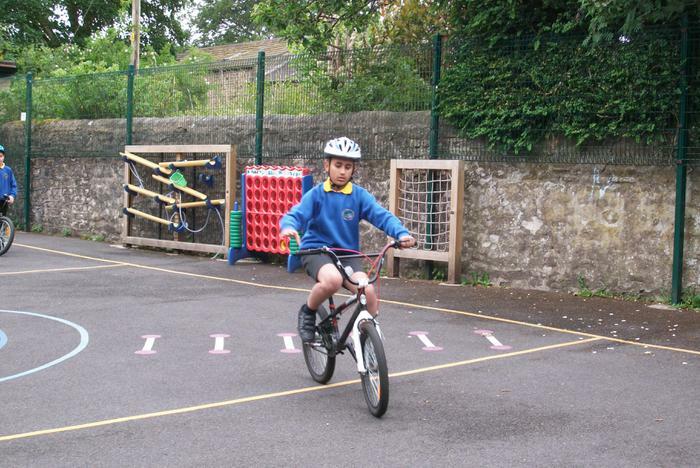 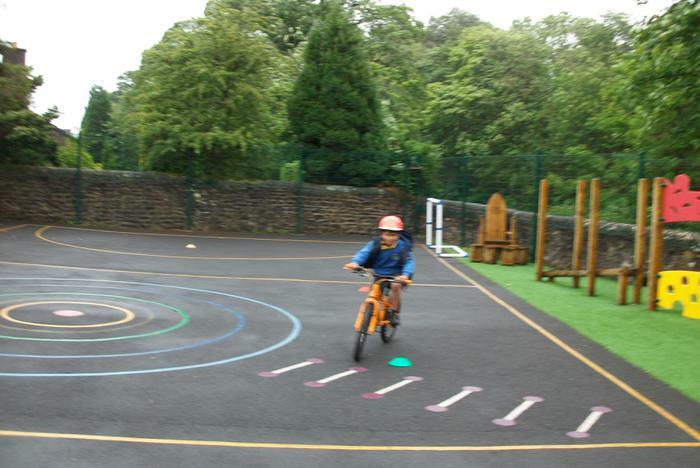 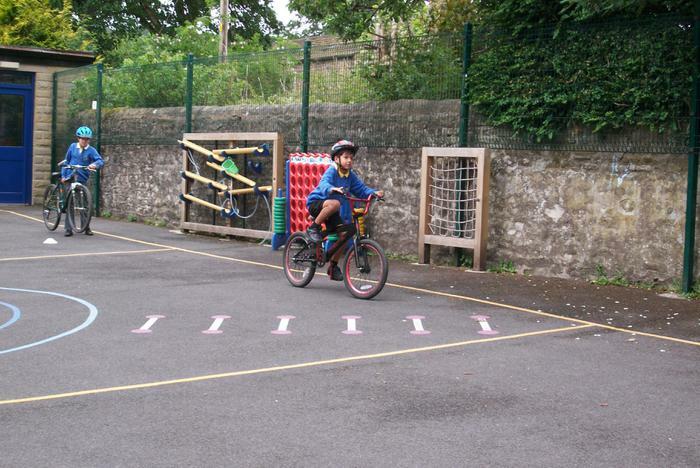 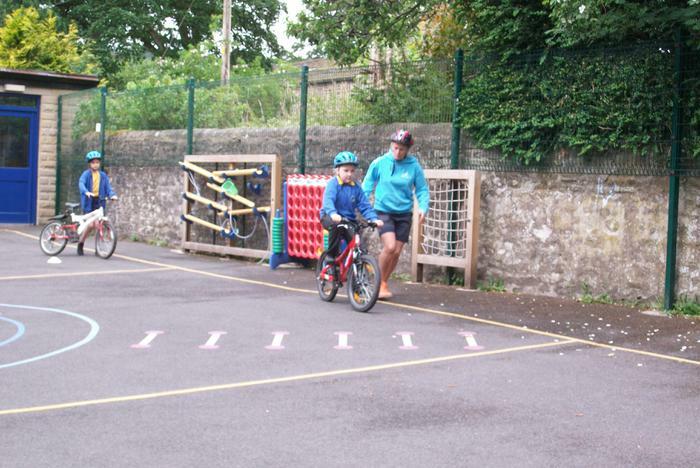 Bikeability builds on the children’s prior learning from the ‘RightStart’ programme they completed whilst in the Infants. 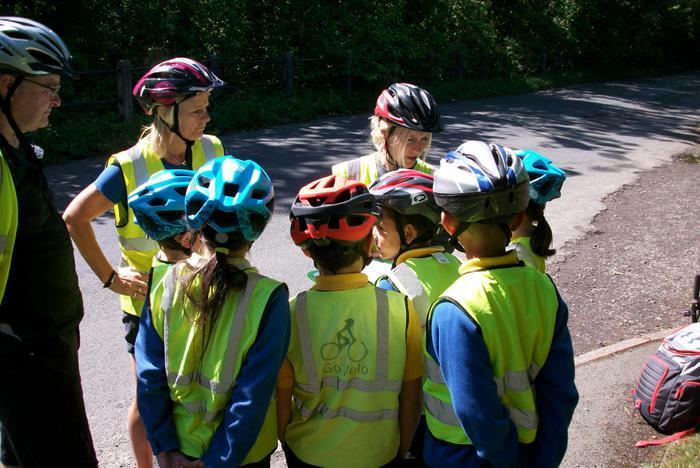 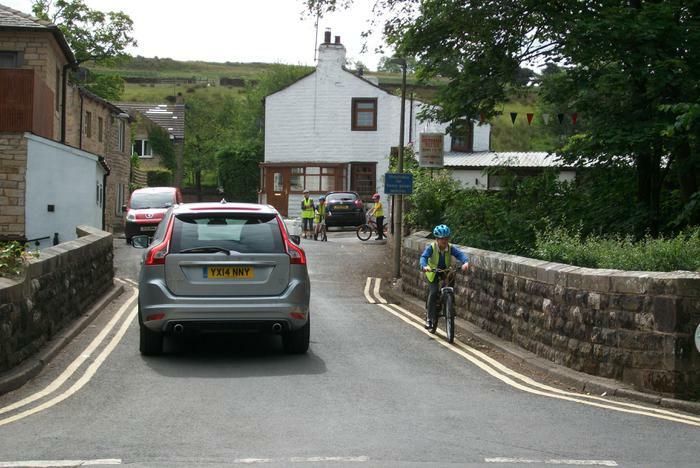 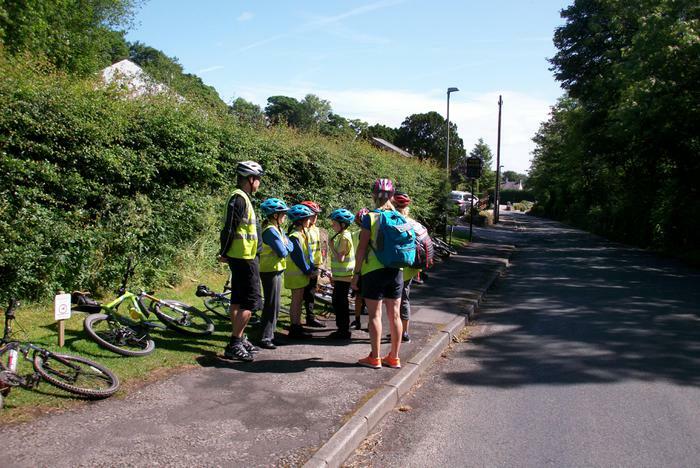 A huge thank you to Debbie and Fiona who made this a wonderful experience for the children and thank you to Mr Fishwick, our Chair of the Resources Committee, who joined the children whilst undertaking their level 2 training on the roads around school. 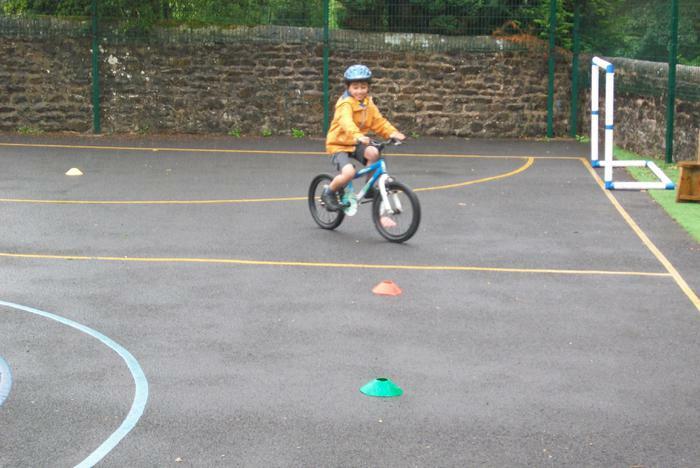 The children had great fun evaluating his manoeuvres.